The hand is a remarkable organ which is characteristic of primates and most highly developed in man. This book deals with the evolution and development of hand function, with the structure of the hand and with the hand as a perceptual system. Neurophysiology and psychology of hand function are included, as are problems of disability. With expert interdisciplinary contributions from around the world, this wide-ranging overview is sure to be of value to all those interested in hand function, development, pathology and therapy. 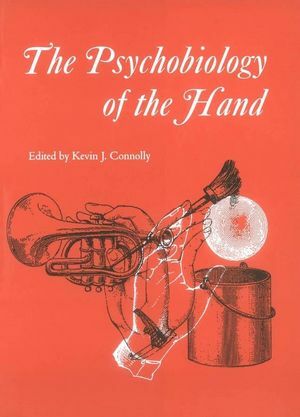 Kevin J. Connolly is the author of Psychobiology of the Hand, published by Wiley. 1. The stability of handedness M. Annett; 2. Exploring and exploiting objects with the hands during infancy E. Bushnell and P. Boudreau; 3. The development of manual dexterity in young children E. Manoel and K. Connolly; 4. Changes in grasping skills and the emergence of bimanual coordination during the first year of life J. Fagard; 5. The neurophysiological basis of hand function H. Forssberg; 6. How non-human primates use their hands D. Fragaszy; 7. The control of human prehension P. Haggard; 8. Manual dexterity L. Jones; 9. The hand as a perceptual system S. Lederman and R. Klatzky; 10. Body scale and the development of hand form and function in prehension K. Newell; 11. The structure of the hand B. Page; 12. Manual skills in children with learning difficulties D. Sugden; 13. Assessing manual control in children with coordination difficulties J. Wann, M. Mon-Williams and R. Casson; 14. Developmental disorders and the use of grip force to compensate for inertial forces during voluntary movements E. Hill and A. Wing. Includes the neurophysiology and psychology of hand function, as well as problems of disability.